With a few weeks to go, the full artist line-up has been released with the likes of Chico Muyo, FREDDY – L, Rusty Red, Don Clarke & Dicky Roberts, Mali Zulu, Monark, Jerry and the Bandits, Rubber DUC, Bowling for Soup, Mango Groove, Hot Water, GoodLuck and Ard Matthews gracing the stages of the 28th Splashy Fen Music Festival. With over 300 hand-picked artists, across five unique stages, over four days, fans do not want to miss out on this one. Adding to that, and in keeping with Splashy Fen’s self-imposed responsibility to expose, develop and promote local artists, of the 320 musicians that will be performing at Splashy Fen this year, 302 are South African. In addition, the 2018 Splashy Fen will host the largest number of KZN born artists in its 27-year history, with 46% of all musicians hailing from KZN. Introducing the Splashy Bus, powered by Zeelo. The Splashy Fen experience just got a whole lot better, and easier, for fans, who can now leave their cars behind and join other party-goers on a car pool of a different kind. The Splashy Bus will collect travellers from two central points, in Durban and Pietermaritzburg, and transport them up to the festival, and return, all for only R300. 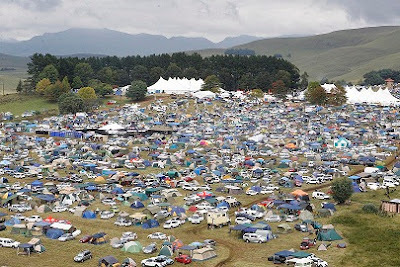 It also adds to the festivals efforts to reduce their carbon footprint, with fewer people travelling in separate cars. Grab your friends and book a seat now: www.zeelo.co.za/rides. Pre-order your campsite alcohol for collection at Splashy Fen, using the MiTreat App. Available through the Google Play Store or the Apple iStore, the MiTreat App lets fans order and pay for their campsite drink selection before they arrive, and collect the goods on site for the first two days of the festival – hassle free and convenience at its best. This initiative is a new “events” category on the MiTreat App that will be launched at the 2018 Splashy Fen, so be sure to give it a go. For more information visit the Splashy Fen website. South Africa’s oldest music festival will take place over the traditional Easter weekend from Thursday March 29 to April 2, 2018.